Building Automation | Solar Shades | Springs Window Fashions - Window Products Management Inc. 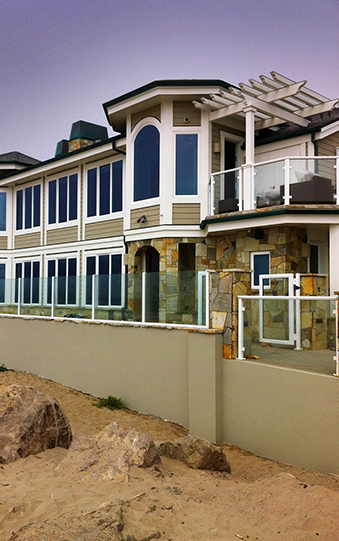 Window Products Management (WPM) was introduced to the owners of this home by Ventura Master Builder Peter Livingston. 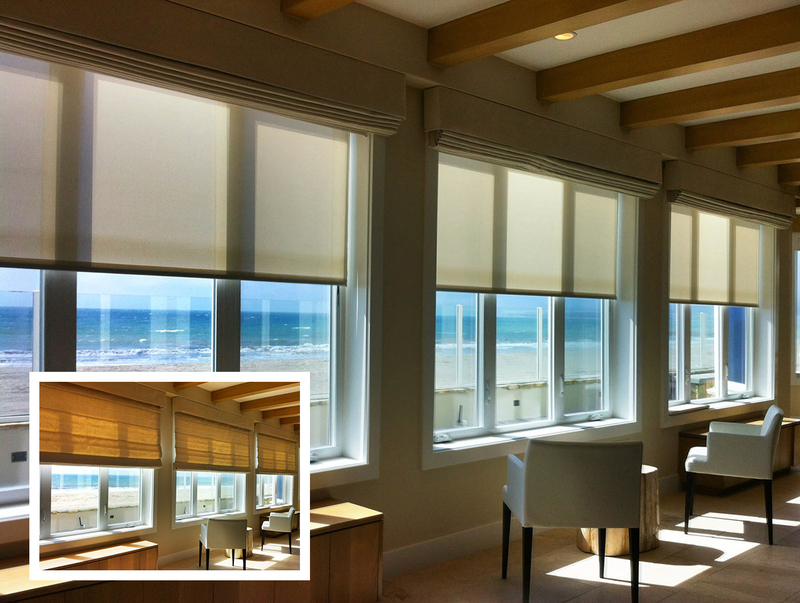 WPM worked with Livingston and the homeowner to design motorized solar shades, motorized roman shades, and drapery that integrated into a home automation system for this custom beach-front home. The motorized solar shades were mounted inside the window trim with the motorized roman shades mounted above the windows from the dropped ceiling so they stacked off the glass to act as a valance for the solar shades. The objective was to design a fashionable window treatment scenario that provided privacy and solar protection while maintaining a view of the Channel Islands.